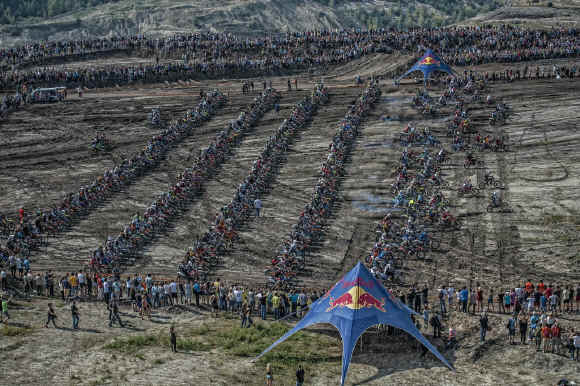 A bumper entry of 1000 competitors are headed to Poland’s Red Bull 111 Megawatt this coming weekend, September 8/9, for round five of the World Enduro Super Series. At the head of the standings, Red Bull KTM Factory Racing’s Jonny Walker (GB) aims to keep his lead intact over Germany’s Manuel Lettenbichler (KTM) and Rockstar Energy Husqvarna Factory Racing’s Billy Bolt (GB). With the summer break complete, the World Enduro Super Series readies itself for the second half of the championship. 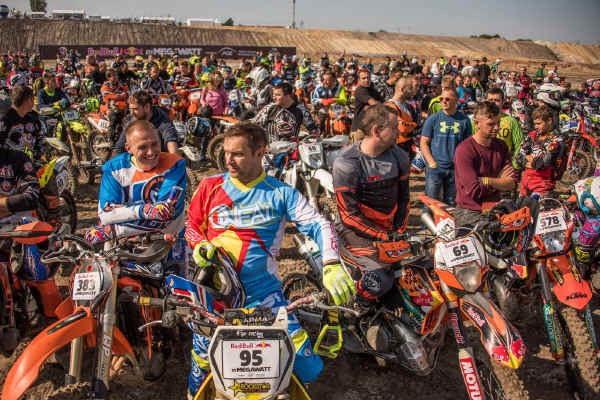 Kicking things off with Red Bull 111 Megawatt, a high-intensity four rounds in 10 weeks will then determine the outcome of this year’s inaugural battle to become the ULTIMATE ENDURO CHAMPION. Now in its fifth edition, Red Bull 111 Megawatt marks the final Hard Enduro event on the championship calendar. But it offers a unique twist on Cross-Country racing – requiring competitors to display elements of speed, technical riding, fitness, head-to-head racing and race craft in order to be successful. Staged over two days, Saturday’s opening day of competition will see 1000 amateur and professional riders vie for a place on Sunday’s all-important start line. Two unique special tests — Motocross and Endurocross — will be raced twice with the fastest 500 making the grade for Sunday’s main event. Utilising Europe’s largest coal mine to its maximum, riders then face three laps of a demanding 30-kilometre long course that weaves its way around the spectacular venue. Filled with large sandy climbs, near-vertical drop offs, gigantic sandy moguls and a multitude of high-speed Enduro trails, it’s a thrilling race that will push riders to their physical and mental limits. Victorious in Poland for the last three years, championship leader Walker has made the Red Bull 111 Megawatt his own. Ferociously fast around the Belchatow mine, the British rider will be the rider to beat. Yet to claim a win in this season’s WESS, the KTM rider knows that claiming maximum points at round five will set him up perfectly for the remaining races to come. Sitting second to Walker in the title chase, Lettenbichler is arguably this year’s standout performer. With three podium visits in four races, the young 20-year-old privateer is also knocking on the door of his debut WESS victory. With 185 points separating him from Walker, a win in Poland could turn the standings on its head at this crucial part in the series. As round one winner, Bolt will be eager to return to the podium at round five. Always spectacular to watch, the 21-year-old British rider will be aiming high at Red Bull 111 Megawatt. Keen to keep his winning momentum rolling, round four winner Sherco Factory Racing’s Wade Young will be a strong contender in Poland. The South African, who sits fourth overall in the championship chase, is favoured for a top three result. So too is his teammate Mario Roman. 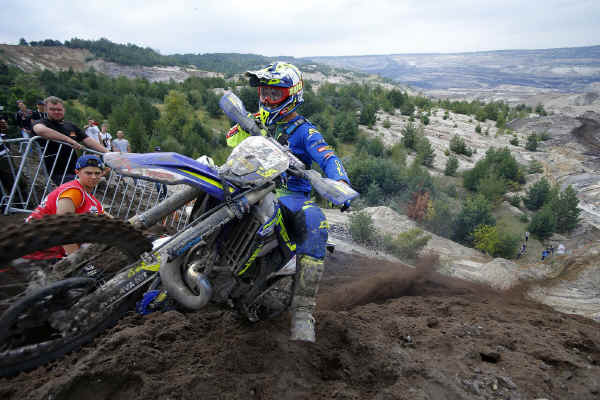 The Spaniard has twice finished second at Red Bull 111 Megawatt, shadowing Walker across the finish line both times. Fit and healthy again after his injuries sustained at Red Bull Romaniacs, Roman will be hoping it becomes a case of third time lucky in Poland. Graham Jarvis (Husqvarna - GB) is another rider looking to add to his 2018 win tally in Poland. Third in last year’s edition of the race, he’s shown he is capable of finishing on the podium and will be eager to make amends for his disappointing non-finish at round four. In a similar fashion, so too will home favourite Taddy Blazusiak (KTM). Founder of Red Bull 111 Megawatt, Blazusiak won the first edition of the race back in 2014, beating Walker straight up. Ready to kick start the second half of WESS in the best possible way, a win by Blazusiak will certainly be a memorable one. 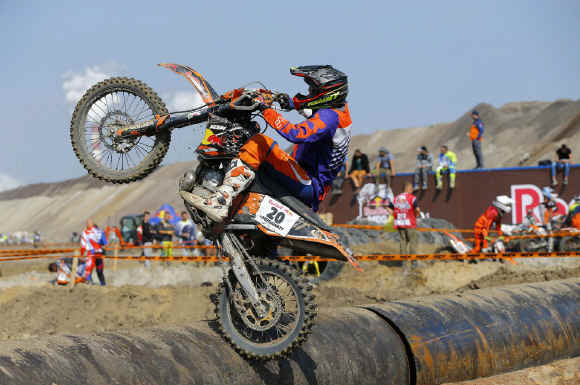 Classic Enduro and Cross-Country specialists Josep Garcia (KTM - ESP) and Nathan Watson (KTM - GB) are two riders who remain an outside bet for a surprise result. Already proving they can handle the world’s toughest Hard Enduro Rallye at Red Bull Romaniacs, both are eager to stretch their legs and enjoy the faster Cross-Country style event that Red Bull 111 Megawatt offers. Currently fifth overall in the championship, Britain’s Paul Bolton (KTM) is another rider never to be counted out. Likewise, Beta Factory Racing’s Travis Teasdale (RSA), Gas Gas Factory Racing’s Lars Enockl (AUT) and Estonia’s Rannar Uusna (KTM) will all be in the mix, ensuring a top 10 finish will be extremely hard fought for. The World Enduro Super Series continues with round five at Red Bull 111 Megawatt, Poland on September 8/9.